In a rare instance, outgoing Republican Sen. Jeff Flake of Arizona praised President Donald Trump on Wednesday for a statement he made about the Bush family on the day of President George H.W. Bush’s funeral. Trump has previously feuded with both the Bush family and Flake himself. 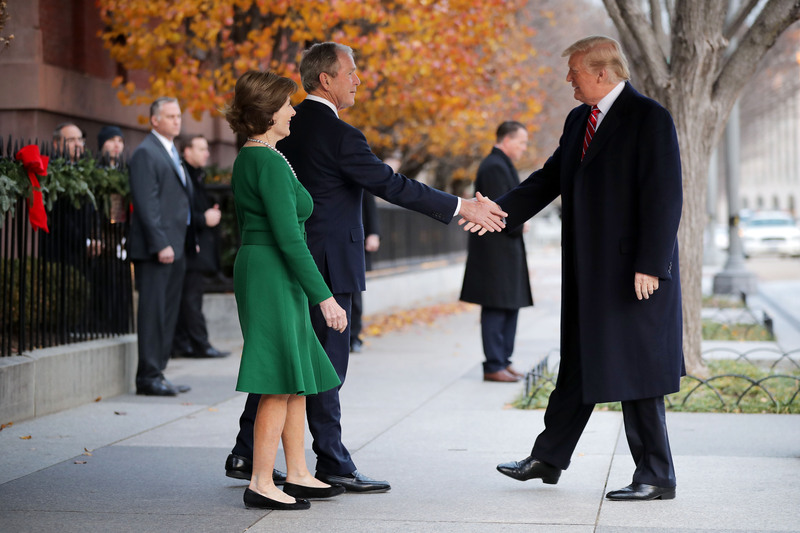 Despite the occasionally tense relationship, Trump and Melania visited President George W. Bush and Laura Bush at the presidential guest house Tuesday. At the end of November, the Senate Judiciary Committee canceled the committee’s panel votes on nearly two dozen scheduled judicial nominees, knowing that the nominees would not receive the necessary votes without Flake.